We are committing ourselves to provide participants with a constant stream of surveys - with more relevance. Recently, we have been testing integration with SimpleGeo service that allows us to provide surveys that are more contextual to participants. For example, we can send out surveys to provide feedback about the local Starbucks coffee shop that you are currently visiting. We can also allow you to provide feedback about the efficiency of the airlines' checkin staff at the airport that you are currently flying from. We will be sending out surveys to get a pulse on current events as well. These efforts mean that our participants have more opportunities to participate in general purpose and contextual research as well as earn points. There have been times when I have participated in surveys but I never got to see the results of what I participated in. That is frankly very annoying and detracts me from participating in more surveys. I would love to know which Starbucks coffee shop has the best customer service and the least amount of wait time - especially if I contributed in research with my time. At SurveySwipe, we are testing how we can provide instant access to results of the surveys we are conducting. Soon you will be able to see an aggregate view of wait times across all Starbucks - in most cases realtime. 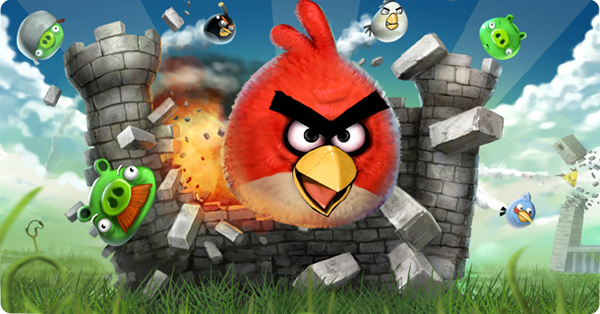 We launched a new effort to promote a way for research participants to get the hottest game on the planet - Angry Birds - for free. You can download the SuveySwipe application, participate in surveys and after a few short surveys you will earn enough points that you can use to redeem Angry Birds. You tell us when you want to redeem and we will send you an email with instructions on how to get it. We have also partnered with Amazon to provide instantaneous gift certificates. We are looking for other creative ways to reward you and show our appreciation for participating in our research. All we ask of you is to participate in research that are pertinent to you honestly and with a purpose to make things better for everyone else. We are committed on our side to continue to work harder to get you even more exciting iPhone/Android/Blackberry/WinMo games, applications and other forms of rewards. Please share your thoughts on how we can make research fun and useful - as well as creative ways of distributing rewards. Giving participants access to survey results sounds cool. I know for someone like me (that is, a stats nerd) I would be much more inclined to take a survey if I knew I would get to see how everyone else voted at the end. Real-time feedback is also intriguing. It would be cool to see how everyone is rating a big event, like the state of the union , second by second. Thank you for allowing me this opportunity to offer my suggestion regarding incentives for participants in surveys. Regarding my experience as someone who has taken the time to take surveys, some with incentives, some as a token of my appreciation, and some in hopes that a service I use will hear a complaint and change whatever it is I'm unhappy or many times happy about, nothing would please me more than to express my thoughts on this. I find when I am asked to do a survey for a service I use with no incentive it is in hopes that I will be heard and my voice will make a difference. I only wish my expressed comment (the comment box at the end of the survey) would be treated as value and personally responded to by someone in the company who may have some pull and my comment was regarded. This wish for a response is always when I have expressed a complaint or issue. I have taken my time to hopefully help this service or company. Since so many businesses and services are using surveys I seem to do one or two every month. I am realizing no one wants to give me back a response and this causes me to feel either my opinion was not noticed, regarded or valued. I am now growing weary of surveys wondering "what's the sense?" In the past I have tried doing surveys with incentives but these surveys are usually the ones that '"fool" me into thinking I will earn a Lap Top or Android if I complete the survey which I never have finished. Surveys like this want me to fill out 2-4 offers and each one is asking me to provide them my credit card information. Not one offer ever wants to allow for using PayPal instead of a credit card which tells me something is wrong but I'm already suckered and dreaming of my new gift. Once I put my info into the form, I signed my peaceful life away to constant toll free calls coming to me on my cell and home phone trying to sell me on another product. I have got myself listed as an easy target, and these calls don't stop! I tried to back out of the survey offers when my credit card was being misused by these businesses taking money out of my account for services not provided and no way to reach them at which my bank had to take over from there. My life was a mess! This is not incentive. Since we live in a time where the Internet (via computer or phone) is being used for advertisements and surveys, it has saved businesses a lot of money. Innocent bystanders who become receivers to spam in their email will also tire of spam through texting to their cell phones. Fair incentive must become regarded not only as inevitable but also to regard the public voice as one of value and with respect. In turn the services offering fair incentives will be compensated by honest people who like to feel compensated and appreciated. For me a fair incentive would be something I wouldn't need to wait more than a day for. It could be in the form of a code and redeemed through a service that primarily provides Internet incentive products, for example immediate credits added to iTunes, XBox, Farmville, minutes added to WebToGo or a limited subscription to streamline TV. It could even be simple but trusted software and so many people would have a need for that. Six months ago if I did a survey and the incentive was 30 Farmville credits I would have been completely ecstatic. I believe the biggest idea is to make redeeming easy and quick. Thank you for taking the time to respond. We are currently testing integration of reporting of survey responses for iPhone followed by support for Android, Blackberry and Winmo - you will be able to see reports of all the surveys you have taken along with responses from others who have taken the same survey. You will also be able to view history of all surveys you have participated in. As far as providing timely rewards - we will work hard to make sure that your time is appreciated. Good news is we have several businesses that are interested in doing surveys with us - and we are committed to pass on the revenue we generate to people like you who diligently participate. Also, stay tuned for more exciting rewards inventory from us. We will never sell your information to anyone. We use few basic profile information that we collect to deliver more relevant surveys to you. You can read our privacy statement http://www.surveyswipe.com/privacy/ to feel more comfortable.